Giant Panda Habitat: Why Are The Bears Fleeing Their Home? Why is Giant Panda habitat becoming less attractive to panda bears and why are they fleeing their native home? There’s a new threat to Giant Panda habitat and this time humans may not be directly involved. Giant Pandas are facing another threat. But surprisingly this time around, the threat is not directly from humans. Their native habitats in southwest China is spread across parts of Sichuan, Shaanxi, and Gansu provinces but mainly Sichuan. In these remote, mountainous terrain, these bears can enjoy the cool and wet bamboo forest they are so popular for eating. Basically, the bamboo forests are just perfect for the panda’s needs. But over the years, as more and more people took land for human developments, the pandas’ sources of food and livelihood were jeopardized. Their habitat shrunk drastically, by as much as 30 percent, through deforestation. So, to arrest that situation and prevent people from clearing away more of giant panda habitats, the Chinese government expanded the “protected” areas. The authorities made this move about 10 years ago and people can’t hunt, farm, or develop land in those areas. But unfortunately and in an unforeseen turn of circumstances, that move has inadvertently created another threat to the bears. The most recent threat to the pandas is in the form of free-range livestock: specifically cattle and horses, etc that stomp through the protected forests. Because these areas are now protected, these other hoofed animals are free to roam and multiply as they please. As a matter of fact, their numbers have increased by about nine times what they were 15 years ago! As a result of this unprecedented increase, the livestock have crushed and damaged so much bamboo. To the extent that giant panda habitat has shrunk by up to about 34 percent. You can read more about the new study that evaluated this problem as published in the journal Biological Conservation. The scientists that carried out this study were from Duke and Peking universities. They focused their attention on happenings in the Wanglang Reserve in the mountainous Sichuan province. That’s one of the major strongholds for panda bear populations. Using monitoring data gathered over a 20-year period, the team created a model that showed where habitat loss was taking place. In addition, GPS tracking devices were deployed to compare the pandas’ movements to the habitat data. Researchers can’t explain exactly what led to this startling increase in free-range livestock. To date, experts can’t give a particular reason why this is happening. Some say the 2008 earthquake in the area affected tourism and pushed natives to raise more livestock. Similarly, others believe the increase in roaming livestock is just a fallout of increased demand for meat products in the area. The wild horses in particular are a major problem as they can trample large expanses of forest at a time. 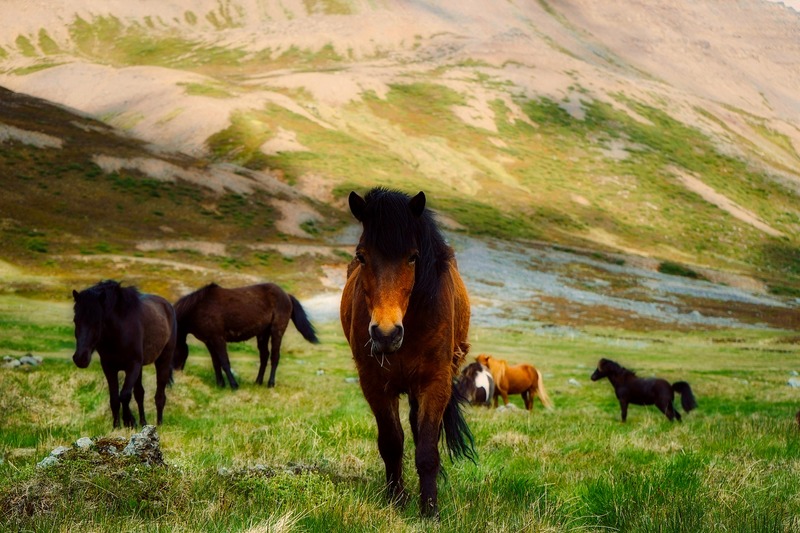 “We recommend the nature reserve carefully implement a livestock ban and prioritize removing horses because they cause the greater harm,” said the researchers in their publication. The fact that the panda bear eats bamboo as 99 percent of its diet means that any damage to these plants will have severe impact on its well-being. For an animal that is just recovering from drastic population decline, any threat to their survival must be corrected swiftly. This entry was posted in Panda Information and tagged conservation status of the giant panda, giant panda, giant panda conservation, giant panda endangered, giant panda habitat, giant panda reserves, panda facts, threats to giant panda habitat on December 7, 2017 by Roselyn Onuche. What Are The Actual Costs And Conditions For Renting Giant Pandas?